As leadership development experts, we regularly have conversations with senior executives around the world about the key experiences that are required for leaders to grow in their roles. The topic of developing a global mindset and exposing leaders to multicountry and multicultural experiences is gaining increasing interest. Indeed, as Thomas Friedman asserted in his 2005 book on globalization, The World Is Flat, it's a flat world and getting increasingly flatter. Tech advances have shortened the distance between countries, businesses and employees. The expansion of economic and intellectual power has led to the need for truly global leaders. 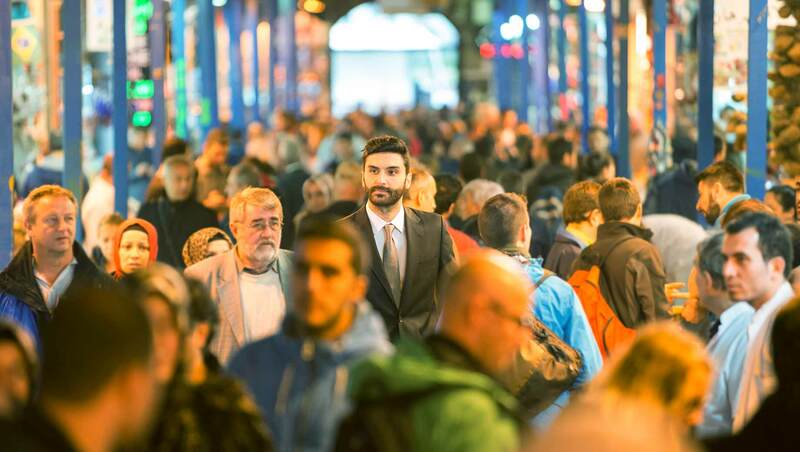 The future will belong to millennial leaders -- who tend to be increasingly globally oriented and eager to explore the world -- and millennials' inclination to identify themselves as global citizens will further the push for a global viewpoint. A perspective that is unrestricted and unimpeded by a local economy or a local government. But few businesses are offering emerging leaders the scope of experience they'll soon need. According to a study by the American Management Association, 48% of organizations consider developing global capabilities in their leaders to be a top priority. What's worrisome, is that only 18% of multinational companies say they have the strong global leadership pipeline necessary to meet their future business challenges. This is exacerbated by the fact that, in an increasingly protectionist era, some countries seem to want to "go it alone" -- notably, the U.S. and the U.K. 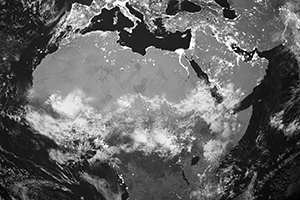 However, globalization -- a trend that started in the late 15th century through the expansion of global trade and then gained significant momentum in the early 2000s -- is an undying force. A growing number of tech unicorns (privately held startup companies valued at over $1 billion) are sprouting from China and India -- and in many other countries as well. The effect of these emerging startups is more multimillion dollar, multinational companies than ever before. In fact, China's Belt & Road initiative is tying their burgeoning economy to new markets and new business partners by investing in the ancient Silk Road, linking it with Europe and Africa. These megatrends are likely to create a deficit in the pool of leaders who have global experience and a true global mindset. And while multicultural training and cultural sensitivity courses for leaders are readily available, they tend to be a poor substitute for actual on-the-ground experience. To expand the pipeline of effective global leaders, Gallup Analytics has isolated four specific strategies that companies can adopt to develop global leadership. Early multicountry and multicultural experiences are essential. A recent report based on a study by Gallup in Southeast Asia showed that C-suite executives attributed early international assignments as a critical factor that impacted their development and growth as leaders. Still, emerging leaders may resist a foreign stint. Leaders may be reluctant to leave their families (or bring them along). Some might fear failure early in their careers, which can happen in a stretch assignment in a foreign office. Some are concerned about navigating cultural adversity -- racism, sexism and the like. And while multicultural training and cultural sensitivity courses for leaders are readily available, they tend to be a poor substitute for actual on-the-ground experience. So, a good leadership development process should account for these barriers and encourage and empower top talents to take the plunge. Embedding multicultural and global perspectives into leadership development practice will prove to be a definitive competitive advantage in the future, even if your organization is not global yet. Take Alibaba -- China's premiere e-retailing and technology company. It considers developing global leaders as crucial to their growth, and the Alibaba Global Talent Development program outlines some key leadership expectations, including "open-minded" among them. Specifically, Alibaba says successful candidates will be open-minded toward differences in culture, perspective and ways of doing business. When the time comes to expand, Alibaba can boast of a battle-ready core of leaders who are truly global in outlook, skills and temperament. Experience and knowledge are the key takeaways of a foreign posting, but emerging leaders must be genuinely curious about other cultures to obtain real experience. Not fully understanding local markets, trends and deep-rooted social and cultural nuances can lead to failure. A prime example is Campbell Soup Co.'s botched attempt to build a lucrative market in one of the largest soup-consuming countries in the world, Russia. The company was unable to foresee that Russians already have a rich tradition of soup consumption and replacing homemade borscht with canned minestrone was an uphill battle. Four years after making key investments in the market, Campbell exited Russia. An immersive multicultural -- emphasis on the culture part -- experience is enriching, but to gain actual knowledge executives must venture out. And out doesn't just mean eating local food and shopping at local markets. An international assignment should not be a CV filler. To learn and grow, people need a real challenge. It means a deep dive into the social drivers, market realities, economic pressures, and customer needs and expectations unique to specific countries, cultures, and customer types. Expats need to face real problems and create good solutions because that educational experience is vital to future success. An international assignment must be associated with a specific business or operational challenge, not just checking a box of time served. You'll need to define learning goals that link to development for the assignment to have an impact . A leader's perceptiveness to the culture, the business and the market can enhance that intentionality and lead to better business outcomes. It's worth noting the resulting business outcomes aren't always the what the company expects. A Gallup client sent an executive to an important overseas posting to help with several product recalls. He quickly realized that was only one of the urgent issues he needed to address -- he also spotted regulatory challenges, brand re-positioning, and finding and developing his successor as top priorities. If the executive had been too narrowly focused on his assignment, he might not have noticed the other challenges. It goes without saying that bigotry, nationalism and chauvinism can be ruinous to developing leaders. People should think closely and carefully about their biases before they leave home. Objectivity is required for understanding the opportunities and challenges leaders find in new cultures, but a genuine enthusiasm for diversity is necessary to understanding new cultures at all. Companies should teach global competencies and cultural assimilation. That helps people adapt to, value and make the most of an international experience. After all, if you can't truly celebrate diversity, if you don't have the appetite for a bigger world view, why leave home? To create a workplace environment that encourages celebrating diversity, the company's focus has to be on individuals, their values and their aspirations. It helps to expose leaders and teams to their true strengths, especially as people assimilate into new work teams. 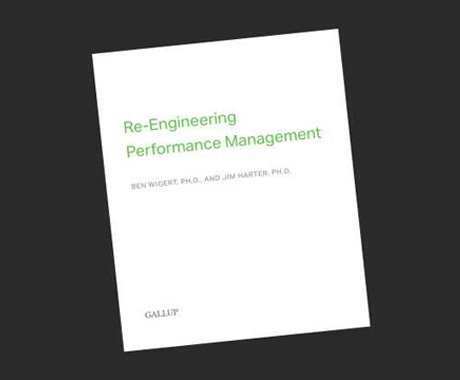 Gallup's CliftonStrengths gives leaders knowledge of their own and their team members' strengths -- individuals' innate patterns of thought, feeling and behavior that can be rank ordered and applied to the job. Providing leaders with this knowledge gives them an immediate, thorough grasp of the talents and motivations of the people they work with, even before they're proficient in the new language and culture. As the world gets flatter it also gets less homogenous. The world economy is already demanding leaders with an evolved understanding and appreciation of the true diversity that comprises the modern world. The demand for a global mindset will only grow. In the real future of work, one's nationality, ethnicity and background will mean less in a leader and to a leader. The leaders who can leverage the best that a globalized world can offer will be the leaders who create value for their businesses, and in any place those businesses and leaders are located. 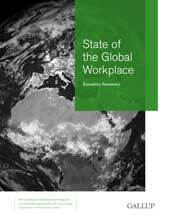 Download Gallup's State of the Global Workplace report. Read our digital publications about The Real Future of Work. See how we can work with you to develop your managers into your future leaders. 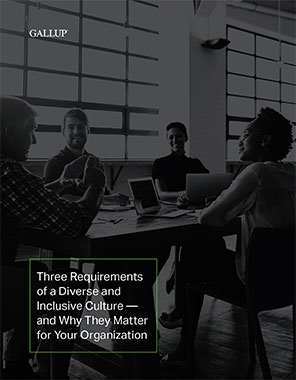 Learn how to go beyond company policies and make inclusion central to your culture and employee experience.